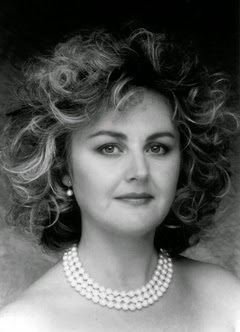 arias,anthems and angels: Edita Gruberová (born December 23, 1946), is a Slovak coloratura soprano. She is noted for her great tonal clarity, agility, dramatic power, endurance, and ability to sing high notes with great power and sustained vocal consistency, which made her an ideal Queen of the Night in her early years. In recent years, she has enjoyed huge success with a number of the most important bel canto roles. Gruberová was born in Bratislava in Slovakia, the daughter of a Hungarian mother and a father with German ancestors. Her native language is Slovak. She began her musical studies at Bratislava Conservatory where she was a student of Mária Medvecká. She then continued at Academy of Performing Arts in Bratislava (VŠMU). While studying, she was a singer of the Lúčnica folk ensemble and appeared several times in the Slovak National Theatre.